Forget the Adidas and Kanye West collaboration; Adidas Futurecraft 3D may be the next big thing. Their first 3D printed shoe is a running shoe that contains a midsole specifically designed to match a person’s individual foot. With the ability for “matching exact contours and pressure points,” Adidas is determined to put this shoe on the market in the very near future. Adidas imagines a store where customers can quickly run on one of their treadmills and walk out with a custom 3D printed shoe – all without having to leave the store or wait several weeks for delivery, as is the case with most custom shoes. This new design project comes in collaboration with Materialise, a leading 3D printing software company with 25 years of successful 3D printing collaborations. While Adidas may say that this 3D printed shoe is their first, it is really only the midsole insert they are printing. Which perhaps is what will make it easier to walk into their store and walk out with a custom shoe, all in the same day. To entirely print a shoe would likely be a longer process. 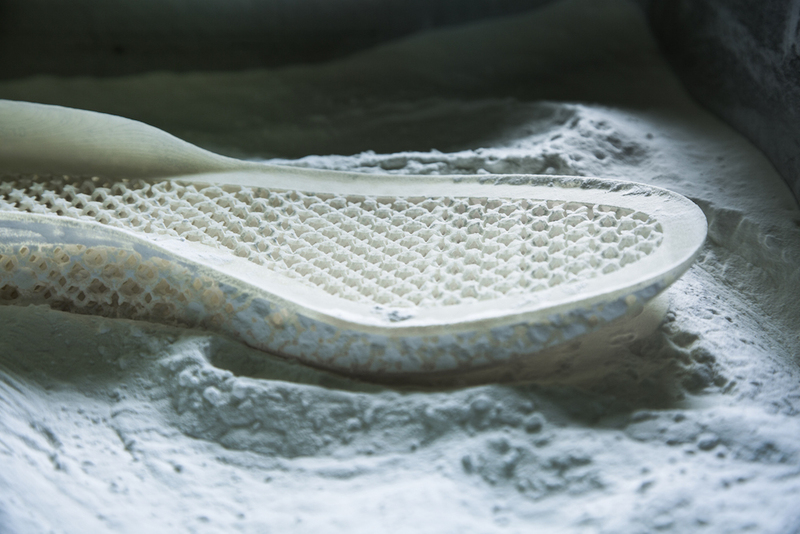 Adidas isn’t the only popular athletic company to develop in interest in 3D printing technology. 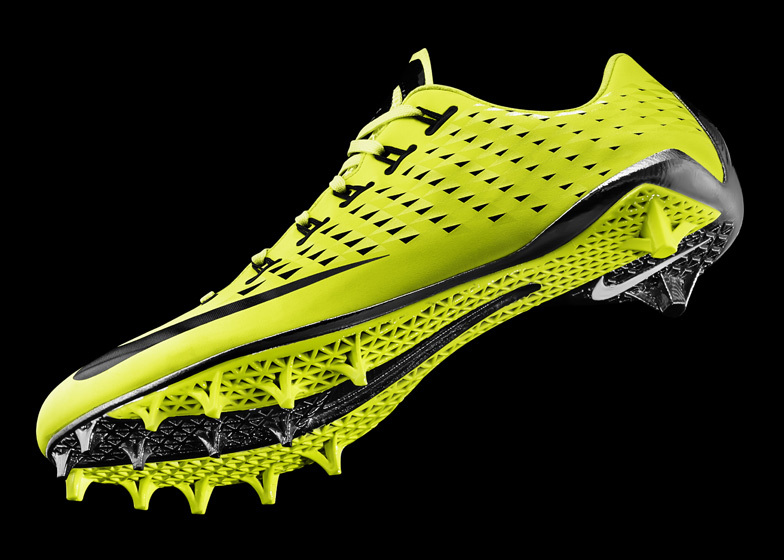 According to Digital Trends, Nike was recently granted a major patent for technology associated with 3D printed shoes. This patent specifically focuses on “automated strobel printing” – the storbel is the material that is stitched to the bottom of the shoe upper – and again, they aren’t printing the entire shoe. Nike’s patent explains that a machine would take the strobel, scan its design and send the data into a computer. Using this data, the computer would then send instructions to the patented 3D printer, which would print sewing guidelines onto the strobel. Customized shoes are always more expensive than their ready-made counterparts. 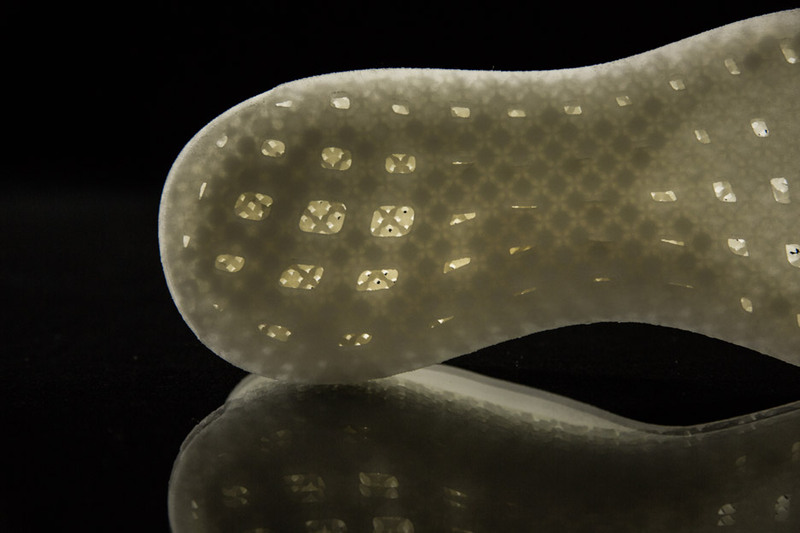 So the question remains, is 3D printing also going to bump up the price of Adidas and Nike footwear? What do you think, are shoe 3D printing technologies a worthwhile investment or just a fad? Check out the video below of the Futurecraft 3D by Adidas.